Apollo Apterra H/L is famous among touring enthusiasts for its high speed dependability on long routes. The tough built appearance of the tyre commands strong presence and capability. The special multi-polymer rubber compound ensures total safety and better high speed cornering ability. Apterra H/L consists of large shoulder block treads with continuous centre rib that help in superior grip under wet and dry weather setup. The advance sipe technology leads to better water evacuation and prevents hydroplaning under waterlogged conditions. Besides consistency at high speeds the tyre also offers better steering response and firm plantation on the surface. The affordable hard wearing tyre offered in tubeless and tube type layout fits in almost all the modern day SUVs and MPVs in the market. Apterra H/L from Apterra range is a well-known tyre for long tours and expressways. The highway tyre is infused with multi-polymer compound for excellent on road performance. With its asymmetric design pattern it provides high level of traction on wet and dry road surface. Its innovative circumferential groove design and robust construction help in superior handling at high speeds. 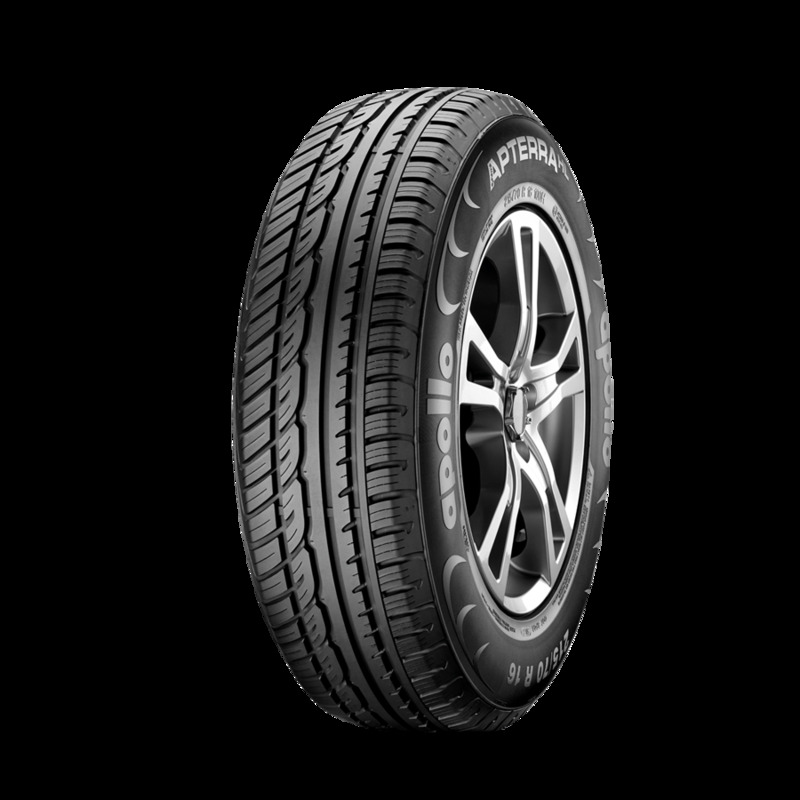 The central rib of the tyre ensures enhanced steering response and better directional stability. Apterra H/L fulfils the demand of high-performance SUV drivers with superior braking and total control. The use of unique compound guarantees high speed reliability and optimum comfort to the occupants inside. It is made available in various rim sizes and variations.